Talking about brewing Japanese green tea, many people generally has accepted that it should be brewed at lower temperature as it was always emphasized in most of the internet media and books regarding tea topics. 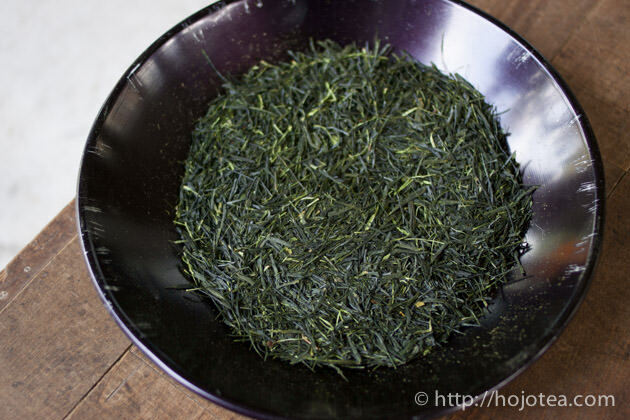 Many resources explain that sencha has to be brewed at 70-80 degree C. Nevertheless, I personally prefer to use boiling water for brewing my favourite sencha. There are three reasons why Japanese green tea is brewed at lower temperature. 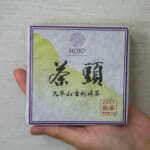 One of the taste sensations of Japanese green tea is umami. As the nature of umami, it is easier for us to taste it when the temperature is lower. It is just like soup; when it is slightly cools down we can feel more umami. In Japan, it is quite a standard way to brew Gyokuro at very low temperature, i.e., 50-60 degree C. The low temperature brewing is the standard brewing style to highlight the taste of umami. However, if tea tree is grown with no or least fertilizer, tea will generally give stronger aftertaste and we do not have to brew Gyokuro at lower temperature. We can still get sufficient taste sensation since tea is giving strong lingering taste due to the high mineral content, the characteristic of the no or least fertilized tea. Since 1950, the usage of nitrogen fertilizer per area in Japan has been drastically increased. It increased more than 10-12 times as compared to that of before 1950. I have discussed this issue in my previous article. 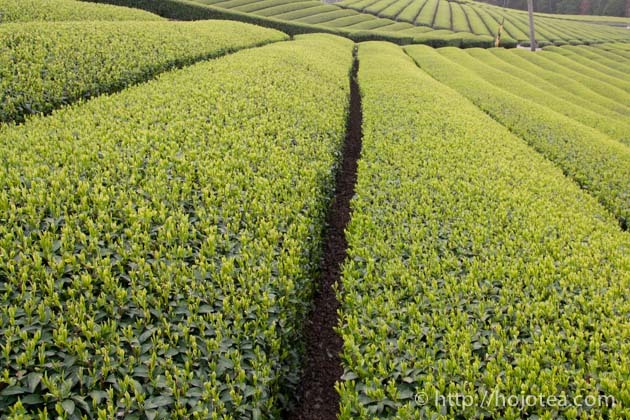 As a result of massive application of nitrogen fertilizer, tea leaves accumulate theanine as the temporary stock of excess nitrogen. Theanine is the substance contributes to umami taste; it is more or less the same as the taste of monosodium glutamate, known as MSG in the market. 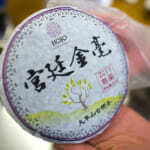 Nowadays due to the influence of internet media, many people often consider umami as an index of quality tea. However, from my point of view, the umami is the taste indicates that tea is grown with plenty of fertilizers. Tea contains caffeine. If you look at the molecular structure of caffeine, you may notice that caffeine also contains nitrogen (C8H10N4O2). Basically the caffeine level increases if nitrogen fertilizer is applied more. 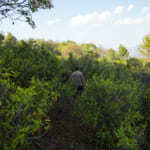 In my experience, as opposed to natural farming tea (uses no fertilizers), tea grown using fertilizers taste more bitter. 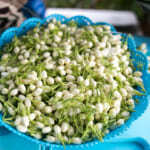 In a way, if the farmer gives no nitrogen fertilizer to the tea tree, tea may contain very less caffeine. Logically, tea tree cannot synthesize caffeine if the supply of nitrogen fertilizer is restricted. As a nature of caffeine, it will be drastically extracted if the water temperature is above 80 degree C. In other words, brewing tea at lower temperature to reduce bitterness. 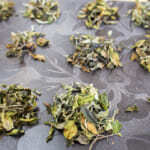 Another reason why lower temperature is used for brewing sencha is to avoid heat damage to the brewed tea leaves. 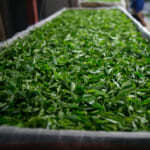 With lower temperature, the freshness of brewed leaves lasts for a longer time. 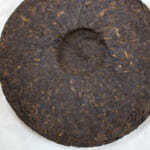 It is more ideal to brew natural farming tea at boiling temperature. Basically if I look at the reasons mentioned above, most of them are related to the fact that tea is grown with nitrogen-fertilizer. On the other hand, the naturally farmed tea contains much more poly phenols as compared to the ordinary tea. 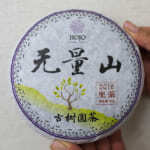 In addition, the tealeaf of naturally farmed tea is not bitter, even if we chew the raw tealeaf we can hardly taste the bitterness. 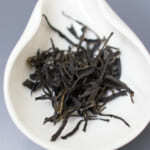 For the naturally farmed tea, it is highly recommended to use boiling water so as to extract more poly phenols. In order to maintain the freshness of the brewed leaf, we can brew tea at higher temperature for a shorter time, such as 100 degree C for 10 seconds instead of brewing at 60-80 degree C for 1 minute, unless you prefer less flavour and thin taste.